I've had this Free People bandana shirt in the back of my mind for ages. It seemed totally DIYable but I didn't have a shirt I was willing to sacrifice. 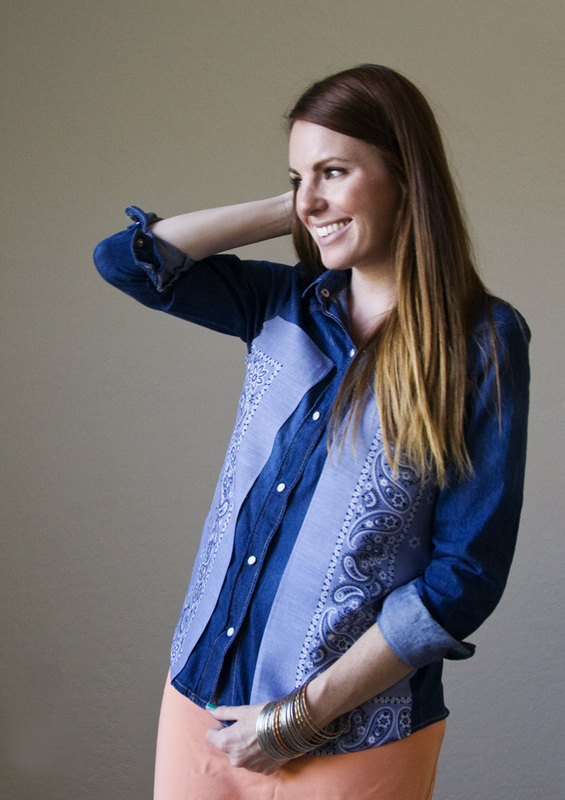 Then I hit the jackpot at Goodwill this week and found a perfect dark chambray button-down for $2.50. Yes, please. I had hoped to find a really cool bandana to use but sadly the Goodwill gods were done smiling upon me that day. I got this one for $1 at Wal Mart instead. Ideally I would have liked to have sewn my bandana on but I'm not 100% sure where my sewing machine is just at the moment (the joys of moving) so I grabbed some fusible interfacing instead and made a no-sew version! Start by washing and drying your shirt and bandana. Iron if necessary (I always do for this kind of thing). 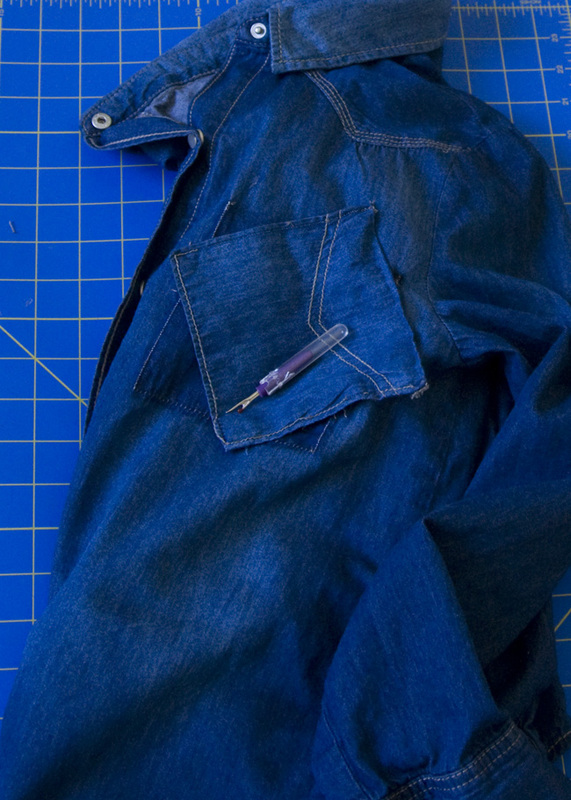 Use the seam ripper to remove any front pockets. 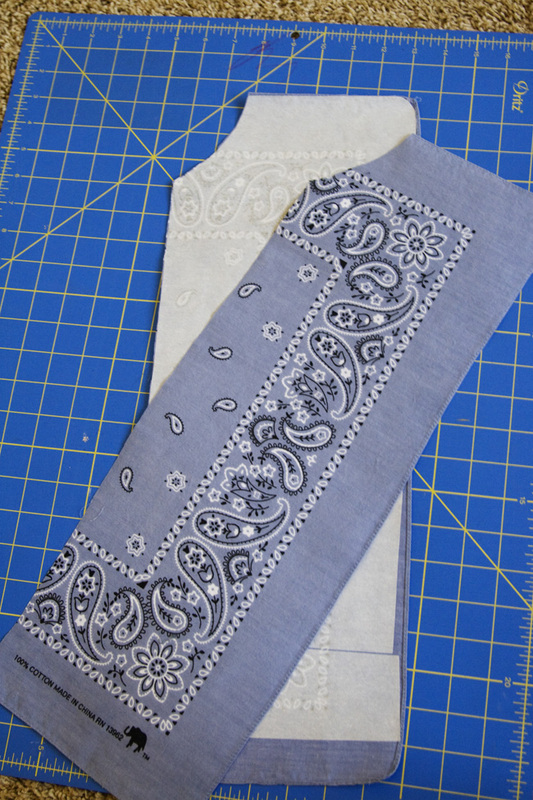 Don't worry about seam lines or small holes...they'll get covered up by the bandana. Double sided fusible webbing has paper on one side, which makes it fantastic for drawing out patterns or shapes. 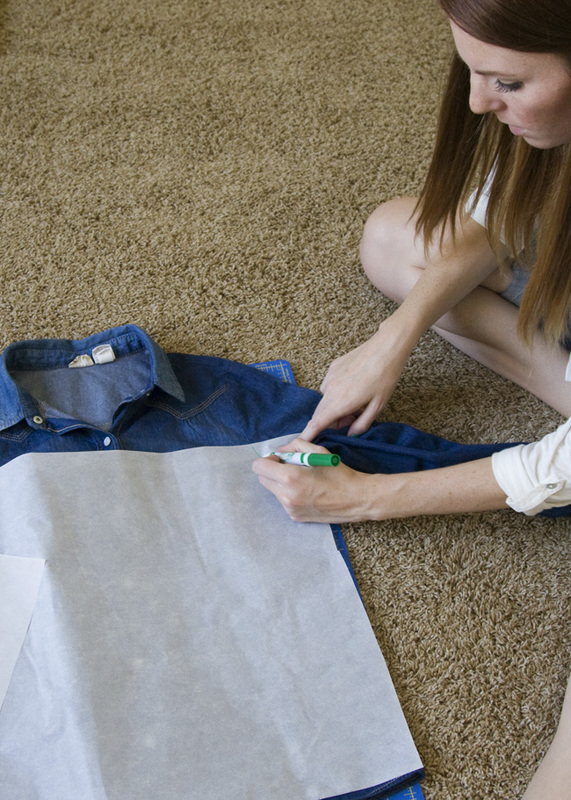 Line up the side of your interfacing with the side seam of your shirt then trace the curve of the arm. 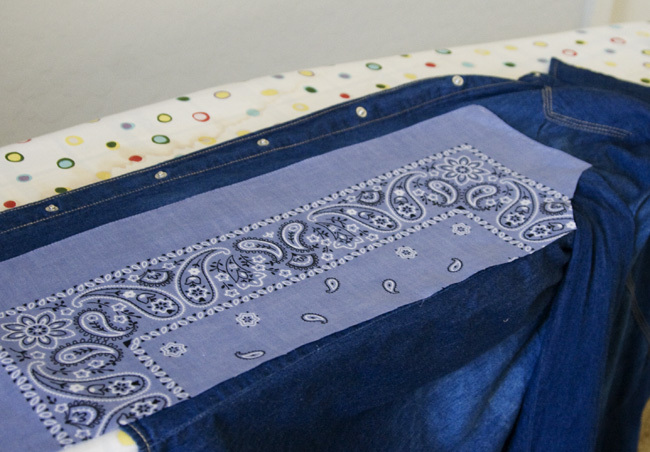 I also drew a line close to the button placket where I wanted the bandana to end. 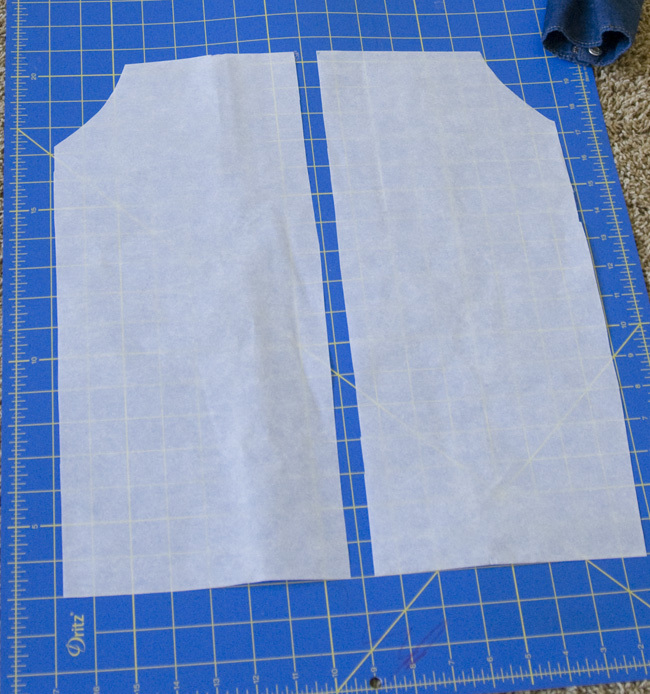 Cut out your interfacing, flip it over and made a mirror image for the other side. 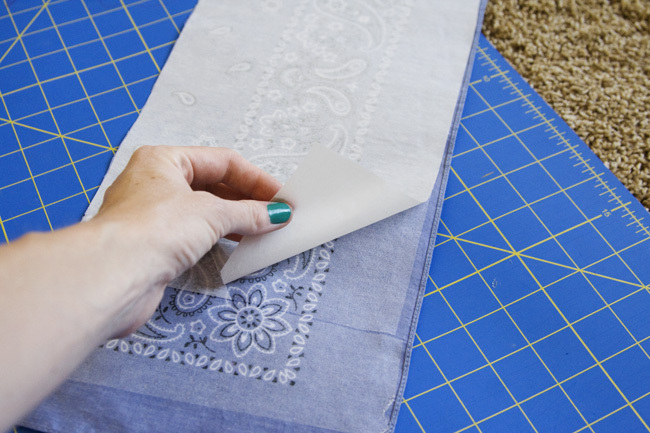 Place your interfacing PAPER SIDE UP (rough side down) on the WRONG SIDE of your bandana. I also made it so that the edge detail of the bandana would be toward the middle of my shirt. 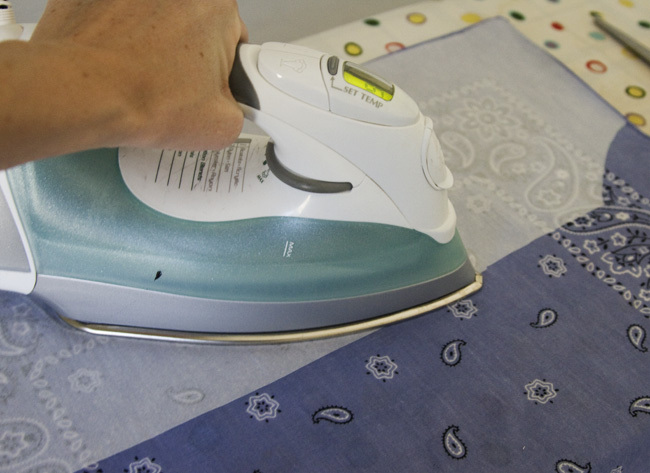 Press with a DRY iron. Steam makes it harder to pull the paper off later. Repeat with the other piece of interfacing and cut out both pieces. Peel off the paper backing. 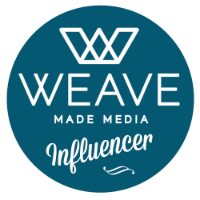 A layer of webbing should remain on your fabric. 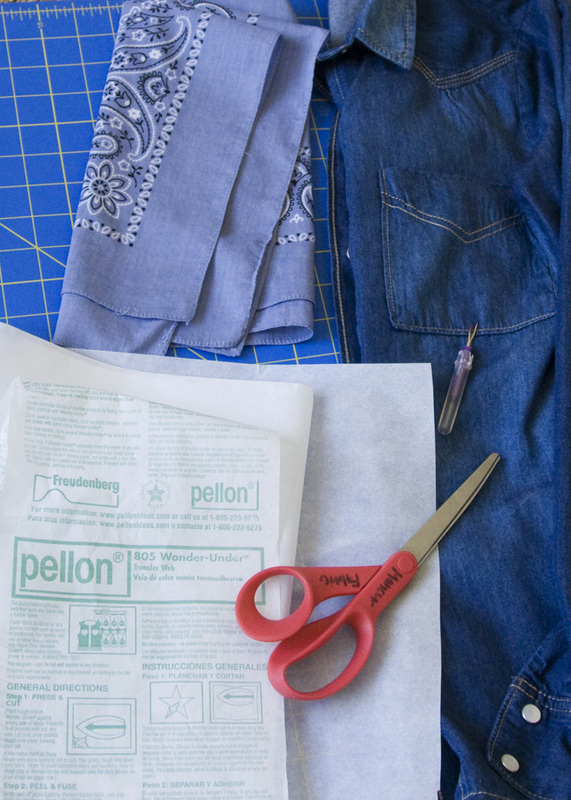 Line your bandana up with the arm and side seam then iron in place. Repeat with the other side. Trim the excess at the bottom, leaving a 1/2-1inch overhang. 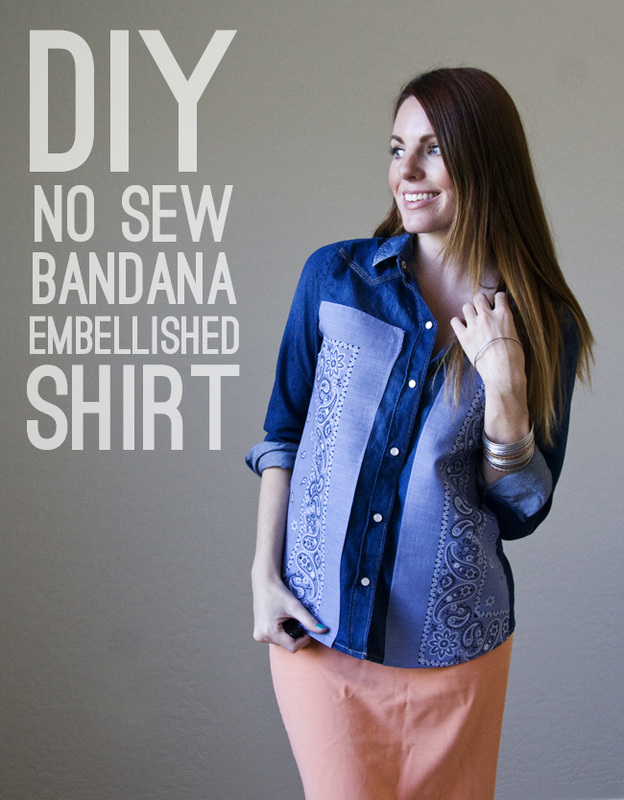 Flip your shirt over and fold the ends over the hem of the shirt. Iron in place. I like the vertical lines by adding the bandana! Cute, cutey McCute.